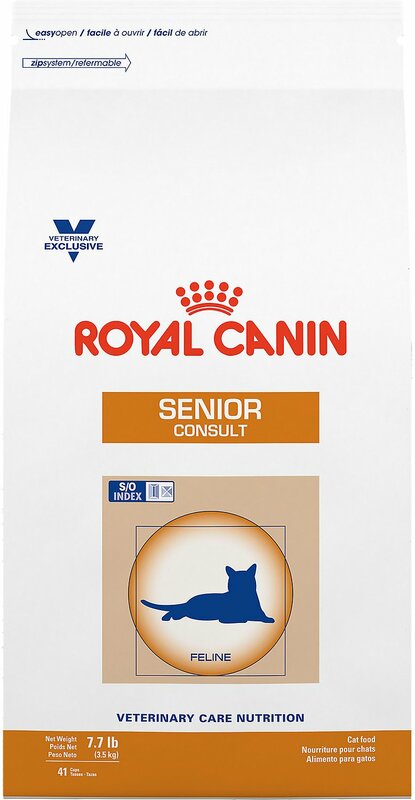 Keep your favorite feline happy and healthy as he ages with the nutritional support found in Royal Canin Veterinary Diet Senior Consult Dry Cat Food. 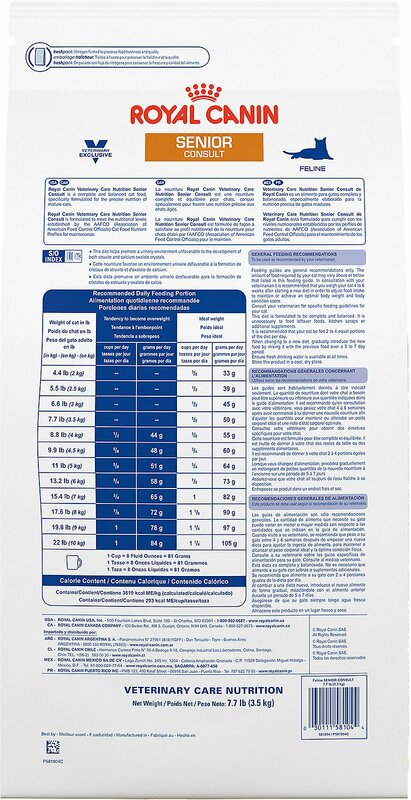 This complete and balanced dry cat food was formulated by veterinarians with an exclusive blend of vitamins and minerals for the precise dietary needs of senior cats, helping your cat to maintain an ideal weight and optimal mobility as he matures. An ideal mix of fibers and prebiotics will also keep your kitty’s digestive system in tip-top shape, while reduced phosphorus content and the Royal Canin Urinary S/O Index® work to keep his urinary system healthy and functioning at its peak, helping your cat to thrive even as he enters his golden years. Uniquely formulated by veterinarians to support optimal healthy feline aging in all breeds of senior cats. 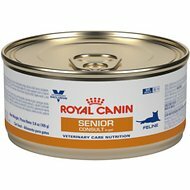 Provides complete nutrition for senior cats with reduced phosphorus content and the ideal mix of nutrients. Helps to maintain the ideal weight in mature cat companions with prebiotics and an exclusive mix of fibers. Fortified with glucosamine and chondroitin to help support ultimate joint health and mobility in senior cats. Royal Canin Urinary S/O Index® helps to promote a healthy bladder and prevent the formation of urinary crystals. 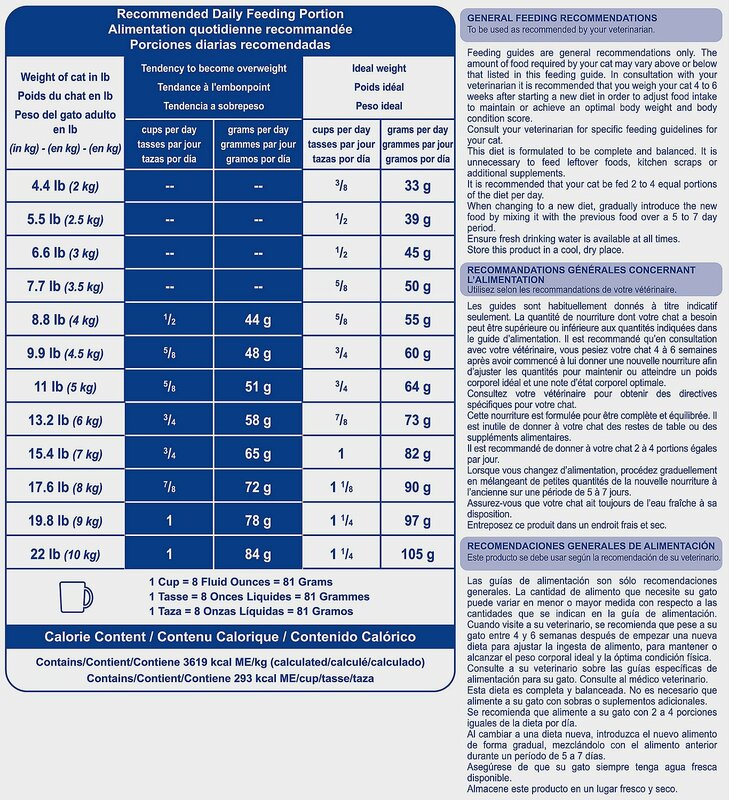 Brewers Rice, Corn, Wheat Gluten, Corn Gluten Meal, Wheat, Chicken By-Product Meal, Rice Hulls, Natural Flavors, Chicken Fat, Chicory, Fish Oil, Vegetable Oil, Calcium Sulfate, Dried Tomato Pomace, Potassium Chloride, Calcium Carbonate, Psyllium Seed Husk, Fructooligosaccharides, Dl-Methionine, L-Lysine, Potassium Citrate, New Zealand Green Mussel, Salt, Hydrolyzed Yeast, L-Tryptophan, Taurine, Choline Chloride, Lecithin, Glucosamine Hydrochloride, Vitamins [Dl-Alpha Tocopherol Acetate (Source of Vitamin E), L-Ascorbyl-2-Polyphosphate (Source of Vitamin C), Niacin Supplement, Biotin, Riboflavin Supplement, D-Calcium Pantothenate, Pyridoxine Hydrochloride (Vitamin B6), Vitamin A Acetate, Thiamine Mononitrate (Vitamin B1), Vitamin B12 Supplement, Folic Acid, Vitamin D3 Supplement], Marigold Extract (Tagetes Erecta L.), Trace Minerals (Zinc Proteinate, Zinc Oxide, Ferrous Sulfate, Manganese Proteinate, Manganous Oxide, Copper Sulfate, Calcium Iodate, Sodium Selenite, Copper Proteinate), Chondroitin Sulfate, L-Carnitine, Rosemary Extract, Preserved with Mixed Tocopherols and Citric Acid. I can't wait for my owner to feed me every morning. The food is delicious and good for me. Now that I am 14, I have to watch what I eat. I recommend this food and give it a three out of four paw rating. This food has a great smell, and Felix prefers it over another over-the-counter brand. Note that this cat food requires a vet prescription. I have a 19 year old cat that I keep on this food. He has always eaten Royal Canin, but I can literally tell the difference, in the way he seems to feel, and in his urine output, when he is on this food. I tried changing, but he doesn't seem to feel as well, and has tummy seems to ache, when I put him on anything else. Also, with anything else, his urine output is ENORMOUS. Doesn't seem healthy. He is a healthy old guy, on this food. Chewy delivers FAST! I love that. Also delivers via Fed Ex. I love that too! LOVE CHEWY! Mr Fizz has been on this food for 7 weeks now , he 11 years old and weight 20 lb when I got him, from someone who would nt deal with his issue s. She gave him to me to live out his days. Happy to say he loves the food ,He moves around much more and has lost a little over two pounds. He is very happy and content here . I am sure his progress will continue.Thank you for such a great product Royal Canin and Chewy for carrying it. 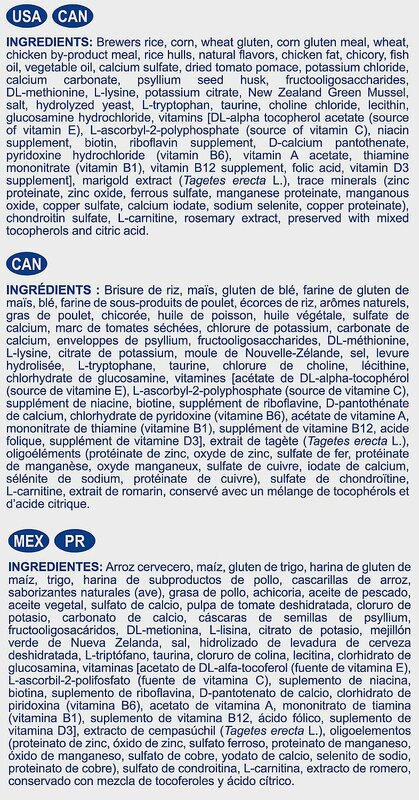 Found out that the 'Mature' type of Royal Canin is discontinued. This is the next best thing (probably the same product for all I know). My 13 year old Stella was slowing down, sleeping a lot and not caring too much about her grooming. I decided to switch her to Royal Canin senior diet and am really amazed at the results. After a couple of weeks of mainly senior diet. She is active and allusive as her old self. It is amazing really how peppy she is and the only change is the cat food. Got this for my 2 cats w/CKD but my gang of 6 cats all love this. Had to change from Purina NF because one of the non-CKD guys got soft poops on NF (perhaps she is having a food sensitivity issue w/fish, as NF contains fish digest and Sr Consult does not--both, like all kidney dry diets, are corn-based). So glad no one has issues w/dry Sr Consult. Everyone finds it as yummy as the canned Sr Consult. My 12 year old cat had a hospital stay for cystitis. He must be on this food. He's eating it well. Drinking more water too. A nice benefit has been he's moving faster, jumping now when he didn't before. I'm not sure, but maybe it's the glucosamine chondroitin. Whatever the case he's doing very well on this food. We bought this for our 15 year old cat. He was losing weight due to poor kidney function and vomiting. He likes it and can keep it down. He has stopped losing weight. Our 8 year old cat likes it to.